Multi-Vendor shops(e-commerce websites) and mobile apps are everywhere just look around and you’ll get to know. To name some are – Amazon, Etsy, Souq, Alibaba, etc. The reason being that the transactions are happening at the store-front and at the same time on the mobile app. As per studies, mobile app’s traction is much higher than the website itself. Also, to note is that “Amazon calls 2016 holiday season its best ever; shares rise” with more than 72 percent of Amazon’s customers worldwide shopped through mobile devices, the company added, and Dec. 19 was the busiest shopping day this holiday season. 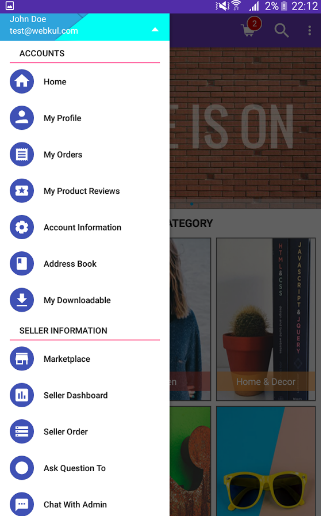 How To Create Multi-Vendor/Seller Mobile app? Creating the multi-vendor mobile application for a novice and a non-technical person is always a hard task to do. Standard platforms like the – Open source and SaaS-based can be utilized. Open source provides quality, lower cost, flexibility, reliability, and avoids the Vendor lock. That’s why a majority of the businesses choose open source e-commerce software rather than the proprietary ones. SaaS software is licensed on a subscription basis and is usually hosted centrally. It all depends upon the platform that you are choosing. After choosing your platform, you will have your free store front. Now, another thing comes up, how to convert my web store into a marketplace? For creating the websites a large number of open source solutions exist but there are no open source solutions for the mobile platform. “Webkul is the first in the World to create an open source e-commerce mobile app builder – Mobikul“. How does this Multi-Vendor Mobile app Works? Mobikul mobile app builder is a full featured customer-centric online mobile application. It will work as Amazon, souq, etc. What does this mean? Customers can purchase the products from various vendors under the same check-out. let us try to explain customer-centric part in the below section for a better understanding. When a customer adds more than one seller’s products into the cart and goes for the checkout has always been a pain. We have already solved the problem by creating the multi-vendor mobile app like a true shopping mall. 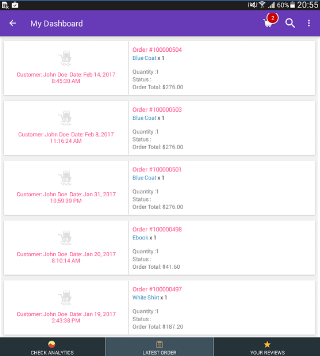 Now the customers can add as many numbers of products from as many numbers of sellers and can go for the checkout. As a vendor, will I be able to upload my products via the mobile app? Yes, using the multi-vendor mobile app vendors will now be able to upload their products through the mobile app. 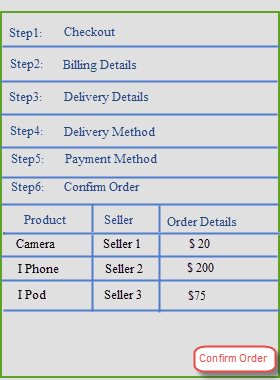 Via this option, the vendors can see all the orders placed by the customers. Vendors can enter their Return and shipping policy, that will be visible to the customers. This will help to build a trust factor with the customers. Selling over multi-channel is always beneficial for the online merchants. But if it is not set up in a correct synchronized way can hamper the sale at the same time. The application supports real-time web store & mobile app synchronization thus keeping all the stocks up to date thus allowing sales at the same time on the web store and the mobile application. If a customer wants to buy a camera whose stock is showing up as 20(In Stock) on the mobile app. Consider if at the same time another customer books 10 stock units of the product from the web store. Now if there is no stock synchronization and the first customer tries to book the 20 units he won’t be able to book as 10 units have already been booked by someone else. Our mobile app uses real-time API’s to keep the stocks synchronized on both the app and the web store. This helps to maintain the stock units so that there no issue with the availability of stocks on both the sides. 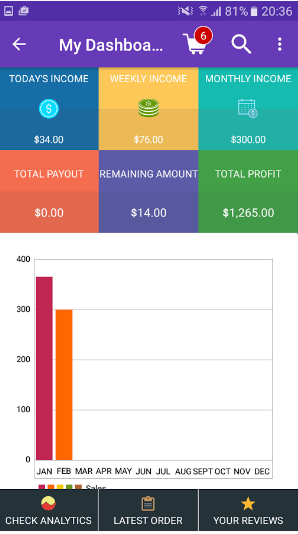 This page gives a brief overview of seller’s sales analytics like – Today’s Income, Weekly income, Monthly Income, total payout & remaining amount. Sellers can also see a graph that describes the sales as shown below in the snapshot. Recent statistics show that the mobile applications result in far more traction of traffic that the website itself. The reason being that the transactions are happening at the store-front and at the same time on the mobile app. So it’s vital and at the same time very important to have a multi-channel mobile app option to get your sales increasing. The seller can ask a question to the admin. Is the Multi-Vendor Mobile app a native application? All the mobikul mobile apps including Andriod and iOS are native apps. Why each and every Online Marketplace merchant should have a Native App? Native apps are built on standard SDK(Software Development Kit) for example –Android Studio, Java, Xcode(Objective-C), and Swift. Unlike hybrid applications, the main advantage of using native apps is that the apps can communicate with the mobile operating systems like android and iOS. Native apps are way too fast as compared to the hybrid apps and the reason is very simple that they communicate to the core OS within the same language. Native apps are having better touch performance. As browsing the catalog requires a lot of touch input, it’s required to have a better touch. Push notifications are vital. If you compare push notifications with the email notifications, the ratio is stunning. Almost out of 100, 90 push notifications are being seen by the customers on their mobile devices. But in the case of email notifications which are mostly considered as spam are being read less. Push notifications bring huge benefits to the end customer at the times when people are celebrating days like – Black Friday, Thanks Giving, Christmas, etc. The sellers can easily send in the push notifications with discount codes on different merchandise. Push notifications are also considered much helpful in converting and increasing the sale’s numbers. For example, a seller can create exclusive offers and shoot the push notifications. Does it support Arabic & Hebrew languages(RTL)? Webkul mobile application – Mobikul is the first of it’s kind to support Arabic, Hebrew, Persian, and other right-to-left languages. 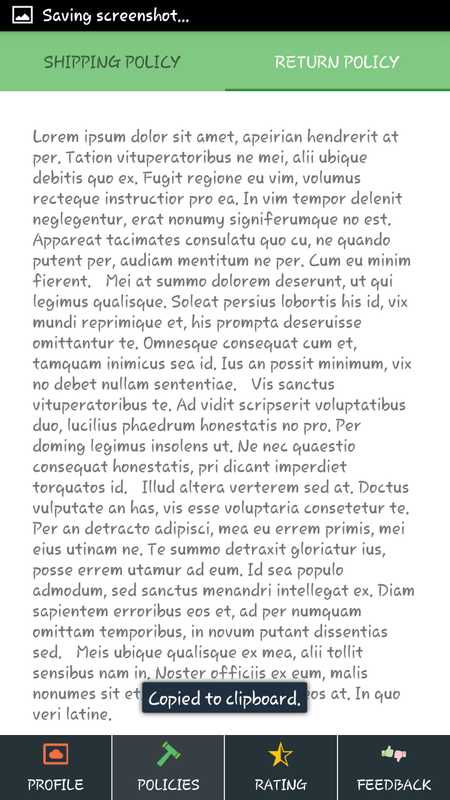 Why is it hard to create RTL(right-to-left) based application? The beauty of mobikul Multi-Vendor App is that at the same time it supports RTL and LTR within the same application. 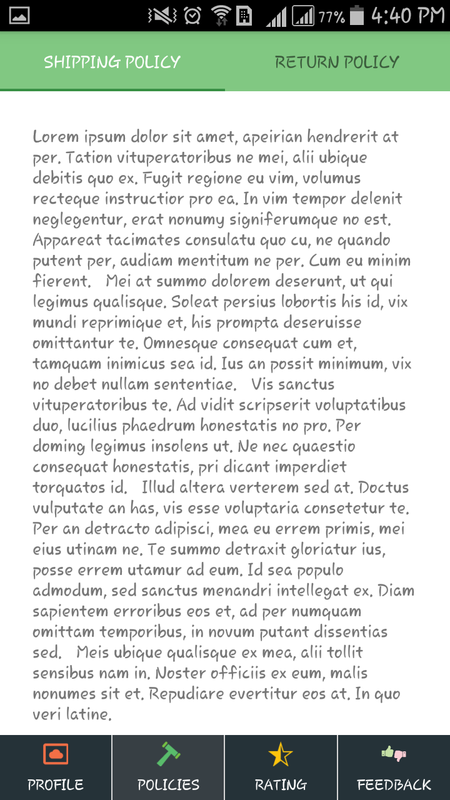 Also, the main concern is not just about the language, it is the complete view and template in RTL and LTR. Our Mobikul Marketplace Mobile App supports various payment gateways which have been used by you on your eCommerce site. Your customers and your sellers will not have to bother about the payments that how they will pay for the purchases using the mobile application. Sellers will also get all the benefits of payment gateways which they get at the Marketplace store. 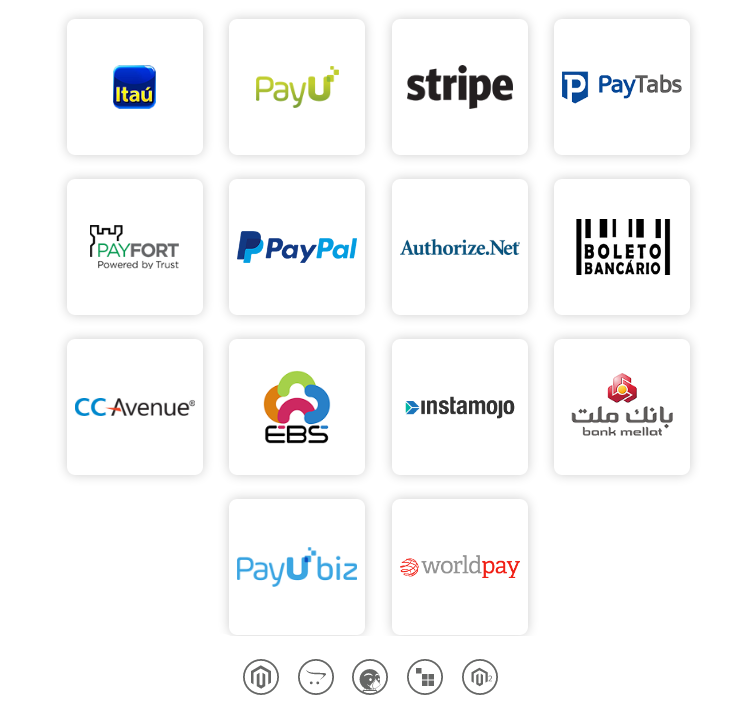 We would like to name few: Cheque, Bank Transfer, Authorize.Net, Cash On Delivery, Stripe, Pesapal, PayU, Paypal Adaptive, and Paypal Standard. 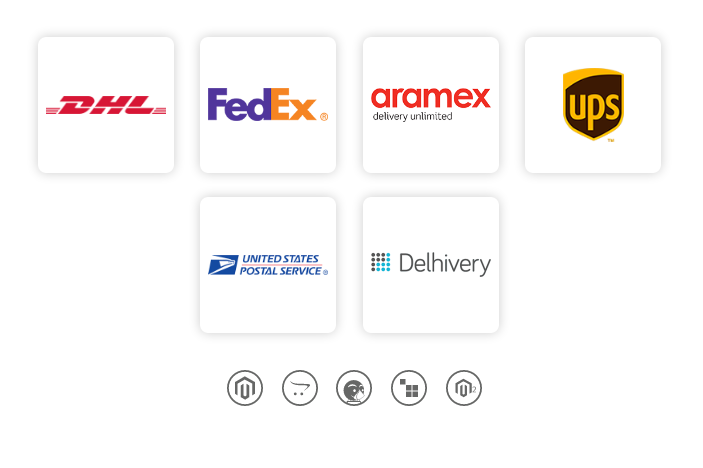 The Mobikul Mobile App will support all the shipping methods of your eCommerce Store, so you don’t have to worry about the shipping feature, it will support all the shipping methods of your eCommerce Store like – Magento, Magento 2, Opencart, Prestashop, and CS-Cart).